Your wrists are a muscle, and you need to treat them with care. This is especially true if you’re going to play games like Overwatch for long periods of time, LA Valiant Physical Therapist Matt Hwu explained in a Reddit post this week. Hwu broke down the exercise methods he uses for the Overwatch League team and some of the common misconceptions that people have when it comes to wrist health. Wrist pain isn’t always a sign of carpal tunnel syndrome, and it’s not only the Google search page that misunderstands that — professional physicians don’t either, in a lot of cases, according to Hwu. The trick to keeping your wrists healthy and pain free is treating them like any other muscle in your body. It’s all about positioning, exercise, and taking breaks. Hwu provided links to his website which demonstrates things like proper desk height so that your arm and wrists aren’t leaning at awkward angles — something that will definitely cause pain over time. He also gave some video examples of exercises to perform to keep your wrists conditioned to playing games and to unwind them after long, possibly tense sessions. Lastly, he notes that you should take breaks from playing too long. It’s a simple tip, but it’s vital if you want to keep playing games comfortably for years to come. Like practicing and improving in Overwatch, wrist strengthening takes time according to Hwu. “Many pros and casual gamers may stick with a program for 2-3 weeks, notice only a slight improvement, and then give up,” he wrote. It’s not about easy solutions, it’s about consistent exercise and care. 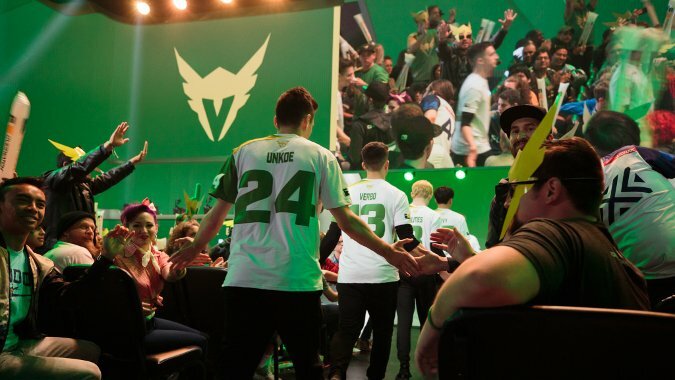 The LA Valiant won Stage 4 of Overwatch League, maybe not on good, healthy wrist habits alone, but I’m sure they were important during the long hours of practice before the big games. But even if you’re not a esports player, you should take Hwu’s advice and take your wrists seriously.